Regardless of who wins the US presidential election, two things will remain largely unchanged: America’s foreign policy and the country’s role in the world. 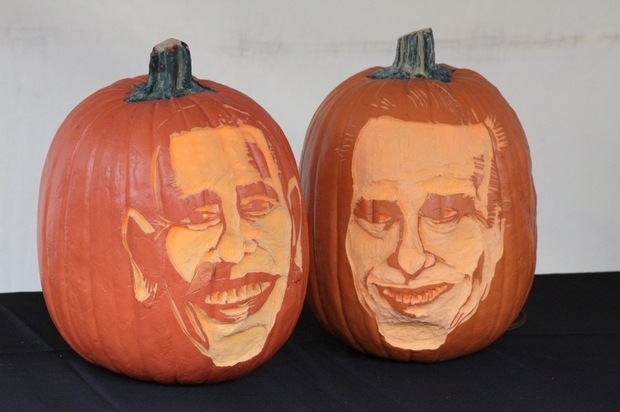 "Obama Romney Pumpkin" by " jaydensonbx" is licensed under "CC-BY"
Anyone watching last week’s US Presidential debate on foreign policy with a view to understanding how America’s role in the world would be different under a President Obama or a President Romney would have been sorely disappointed. Judging from those ninety minutes there is really almost no difference between the two candidates. If President Obama is re-elected, expect to see a continuation of existing US foreign policy. There’s no indication the White House is contemplating a radical course change. During his first term President Obama shifted foreign policy resources and personnel away from Europe towards the emerging economies of Asia. Indeed their Asia emphasis is one of the things the administration is most proud of. Relations with China have at times been strained but President Obama has developed particularly close personal ties with the leaders of both South Korea and India. The state visits of Manmohan Singh and President Lee Myung-bak were taken very seriously by the White House. In their second term American Presidents can be drawn by the elusive lure of Middle East peace. This is not something President Obama spent much political capital on in his first term, but if he wins on November 6th, I wonder if he won’t be tempted to give it a try. And what of Governor Romney? Since several of the architects of those wars now serve as advisors to Mr Romney’s campaign, that might make for some pretty awkward policy meetings. Anyone looking for discussion of the euro crisis, the economic health of the BRICS, or Mexico’s drug war would also have been disappointed. For the duration of that debate, foreign policy really meant Middle East policy. Which is curious given the strength of Mitt Romney’s language on both China and Russia. In the few minutes attention China got in the debate, Mr Romney did reiterate that on day one he would call Beijing a currency manipulator. (“On day one” is US electoral code for “I’m really, really serious and angry about this.”) This promise has won him applause on the campaign trail, as has his assertion that China steals American jobs. This rhetorical attack is not really aimed at Beijing however, but at the manufacturing counties of Ohio. Criticizing China is an emotional appeal to steel workers who are looking for someone to blame for their factories closing and their own jobs disappearing. Democrats say harsh language against the Asian giant will provoke an open trade war that would ultimately hurt American interests. The US has not labeled China a currency manipulator since 1994. It is worth noting however that Moderate Mitt, as the White House has labeled him after his debate performances, also stretched out a hand of cooperation to Beijing, saying “We can be a partner with China; we don’t have to be an adversary in any way, shape or form.” Which is almost exactly what President Obama also said. What the world should really look at is not what the two men are saying on the traditional issues of foreign policy, where honestly I struggle to glimpse much daylight between them, but what they are saying about domestic issues that will have ramifications around the globe. What America does with in its own house over the next four years really will affect all of you. America faces huge domestic challenges. Health care spending is out of control and when the baby boomers retire it will get worse. Businesses are desperate for immigration and energy reform. The tax code needs revision. Washington must cut spending and raise revenue. Poor education is dragging down American competitiveness. But America’s politics are so poisonous the country has become ungovernable. If it is to meet the challenges of the twenty first century the US needs to do big things and do them soon but all these policy changes demand compromise and there is none of that in Washington these days. We will get a preview of whether Republicans and Democrats can overcome their election season polarization on November 7th, the day after the election and day one of the walk to the edge of what is known as the fiscal cliff. Before the end of the year Republicans and Democrats will have to negotiate a budget that does involve some cuts to popular government programs and some tax increases. If they do not they will jump off that cliff into unchartered waters of mandatory spending cuts and mandatory tax increases. The worst case scenario is a country where growth drops 2 to 3% triggering a recession. This is not an American nightmare, it is a global nightmare. In this interconnected world, everyone will be better off if the United States is healthy and vibrant. It is in all our interests that, whoever is elected President, American politicians overcome their absurd differences and get things done. Read more in this debate: The European, Christian Schnee, Martin Eiermann. Katty Kay is a correspondent and anchor for BBC World News based in Washington DC. She has been a regular guest on “The Chris Matthews Show”, “Meet the Press” and “Larry King Live” and also serves as a board member of the International Women’s Media Foundation.